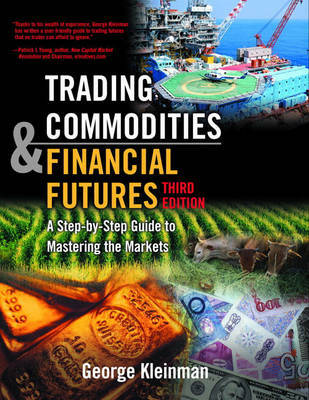 Trading used to take place at commodity exchanges and on the stock exchange floor. Thanks to computers and the internet, trading has moved from the exchange floor and is done primarily online. Trading, once only done by a few and only from the exchange floor, is now open to anybody who has an internet connection, a computer, and a desire to make some money. Trading online hardly existed a decade ago. Now it is the new normal! Technology has made trading available to a wider percentage of the population. All you need is a brokerage account and you are a trader. A working knowledge of the markets is also required of course. Trading online is done through brokers much the same as when trading was done by phone. The brokers charge a commission still, but this is generally much lower for trading online than the old way. Brokers are licensed to trade through the exchanges and they are your portal for trading online. Some brokers are there simply to execute trades for you. You make your own decisions about how you want to invest and trade online. Then you simply submit the trades online and they are completed by the broker. It is all fully automated. There are also online brokerages that offer broker-assisted trades. They give live advice, but as you would expect there is an increased cost for that as well. However for the good ones this can be a small price to pay for profitable trades. So this can be a good alternative to help newcomers get into the business. One of the best broker-assisted services is provided by Commodity Resource Corp. This is run by our colleague George Kleinman. George has been a trader for more than 30 years. He is the author of four excellent books on trading, which we recommend reading. You need to determine what kind of broker will suit your needs best and that all depends on how familiar you are with the exchanges and trading online. Ultimately most of our students are working towards being consistently profitable traders in their own right. But some still like to have a broker-assisted service to undertake some of their trading. In order to open an account you must prove that you are eligible. Your financial and investment history will also be reviewed. The type of account that you are allowed to open depends upon your experience and history. This is because it would be un-ethical for the broker to allow you open an account that would let you make trades that are beyond your means or expertise. Accounts for trading online are either margin accounts or cash accounts. Cash accounts mean that in order to purchase a stock, you must have enough money in the account to cover the cost. When you operate a margin account the stock that you already own is used as collateral. Based on the value of that stock, you then borrow money from the brokerage allowing you to buy more. You are only allowed to borrow up to 50% and the rest must be money that you have in the account, not borrowed. The brokerage will monitor your equity percentage to ensure that it is adequate. If it falls below an acceptable level, the brokerage has the right to sell your assets to raise your equity percentage. When you are trading online you need to pay close attention to your account for this reason. There is no point in trading if you are going to trade and then not keep a close eye on your account. Trading online in futures, options and forex is undertaken in margin accounts as well. However the margin arrangement works quite differently here and is another subject in itself. These are the most popular order and it simply means that you give an order to buy or sell at the best price immediately available. These are when you give the order to buy or sell only when the price you specify can be achieved. These are when a trade is made only after the market has moved to a specified level. It is the opposite of a limit order. It is often used as a stop loss order as well as a way to enter a position when the market is already moving in your direction. These will expire at the end of trading if the order is not filled. This means that the order is working continually until the broker completes the transaction or you cancel it.